Luis practiced law in Mexico, where he achieved several years of experience in litigation, consultancy and legal and policy research. He was a high level policy advisor to Mexican President Vicente Fox’s transitional government. Luis pursued his Ph. D. in Human Rights in Spain, at the Universidad Carlos III de Madrid. He has taught in the areas of jurisprudence, constitutional law, international law, legal research and human rights in several universities in Mexico, Spain, Colombia, Canada and Australia. 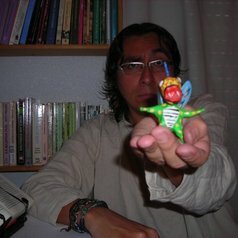 His main research interests are Human Rights; Political Theory; Cultural Legal Studies; Third World Approaches to International Law; Utopianism; Law and Literature; Law and Popular Culture; Critical Legal Theory; Feminist Jurisprudence; Latin American History and Politics and European History and Politics. Mexico's military is a lethal killing force – should it really be deployed as police?